A Base for Pale Ladies | emma etc. When I saw this for sale on asos for a super cheap price, I knew I had to have it my possession because a) I was planning on buying this in a couple of months and b) it was probably at the best price I was ever going to get it. The main reason for buying this foundation is because of the light shade. I got the 'Light Porcealian 010' to fit my pale girl needs. I gathered that if it was too light, I could mix it in with my beloved Bourjois Happy Light Foundation which is a little dark for me but acceptable in summer. Long story short, I didn't want to be looking orange when the cold weather comes around. But, really, it's perfect for everyday use in any season. Reasons why I love this: it's amazing for pale girls and makes sure that your face doesn't look a different colour from your neck. it does a good job at making your skin look quite radiant, but not shiny at all. it is so affordable and a great beginner foundation because of this, and the packaging doesn't look cheap at all because of the glass bottle. it has SPF18 -- this is good for me as I need protection from the sun. For this reason it wouldn't exactly be the ideal night time foundation as if there is flash photography, it may make your face look like a ghost because of the SPF in it, but to me it is the epitome of the perfect day foundation that looks natural and offers medium coverage. My ONLY concern is that for me it does not work very well on top of acne as it looks very dry (but really, what foundation does?) But blemished skin can be taken care of in time and this foundation will glide over effortlessly once skin is cleansed properly and moisturised. I've used this one before, I have such a pale face too ha. 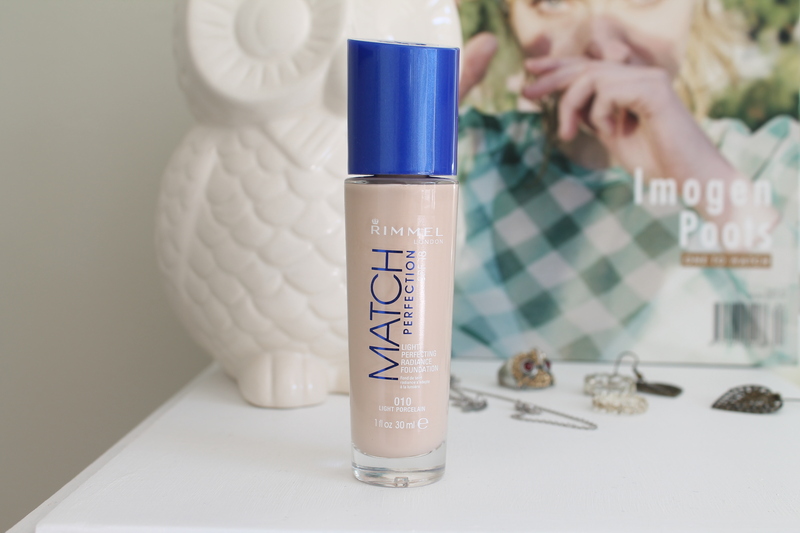 I also love the rimmel stay matte foundation, its super thick liquid and is so great for oily skin!